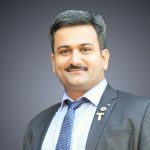 Vishal Pandit is one of the leading Real Estate Analyst in India having managed property business development, marketing and sales worth US $ 80 Million over the past 17 years. Vishal has managed two of the largest and oldest Real Estate Development companies namely Gajanan’s and Prince Hospitality at Mumbai, India with a turnaround story which made sales in record time. He has consulted with India’s leading property developers companies including Rustomjee Constructions, A&O Realty, Kanakia Spaces, Annapurna Builders, Gabadia developers, Shri Sai Bhoomi realtors among others. Vishal specializes in researching micro-market trends and end-customer trends that help customers position better and sell better. He also specializes in helping customers make a location decision and contracting with the likes of ICICI Bank, Bank of Baroda, Greater Bank, KUONI group VFS Global, DMart, Aditya Birla group, PWC, Cyberace, Vitthal Kamat’s along with various small and medium enterprises and residences that totaled in to an over 3.2+ Million Sq. Ft. in build-up area.